Summary from Goodreads: Chava is a golem, a creature made of clay, brought to life by a disgraced rabbi who dabbles in dark Kabbalistic magic. When her master, the husband who commissioned her, dies at sea on the voyage from Poland, she is unmoored and adrift as the ship arrives in New York in 1899. The Golem and the Jinni is a beautifully written tale that combines fantasy with history. 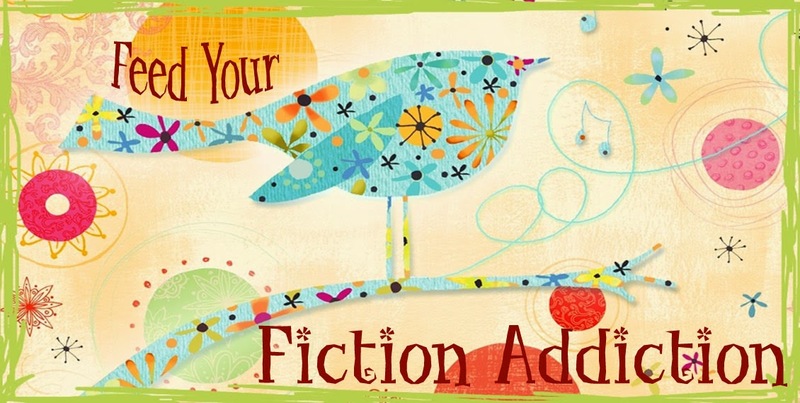 It's a story of life and longing and of the desire to truly break free. When the book was chosen as my May Random Read, I was excited because I'd had a chance to meet the author and hear her speak about the exhaustive research that she put into this book. It truly showed. I was not disappointed! Slightly slow in the beginning. This book is a bit closer to literary fiction than I typically read, which is wonderful - I'm trying to expand my horizons a bit and this book fit the bill perfectly. But it's definitely a slow-building story. I was expecting this to be a story about Chava and Ahmad together, but it was a long time before they even met. The story also seemed to go off on tangents to describe histories of a few random characters. I was a little worried at first ... that is, until it all started to come together ... (read on). Woven storylines. Like I said, the book wandered a bit, giving us descriptions of seemingly random characters' lives. I was honestly a bit worried - until I started to see how Wecker wove these characters' stories together in ways that surprised and fascinated me. I especially loved how she wove Ahmad's history into the book - we learned more and more about how he ended up being captured as the book went on, until the story was fully revealed near the end of the book. Chava. Chava, the Golem, was definitely my favorite character in this book. I felt horrible for her - living her life in constant fear of doing something wrong, of alerting people to her "otherness" or of reverting to her baser nature and actually hurting someone. Chava was always very aware of her limitations and she was extremely cautious. But this just made her truly joyful moments that much more impactful because you knew how much they actually meant to her. You could feel her breaking out of her shell and you wanted her to experience that more! Chava's situation was sometimes incredibly sad, and I longed for her to find happiness in a world that might not ever be able to accept her. Chava didn't even know if they should accept her - after all, her fears were real. She could truly be dangerous. Ahmad. Ahmad was a perfect counterbalance to Chava. He was concerned mostly about himself and what would make him happy, not really evaluating how his actions affected others. Ahmad saw himself as something greater than humans and had no real desire to fit into human life. He was simply doing what he had to do to bide his time until he could escape his imprisonment (in a human body). But when Ahmad got to know Chava, he started to realize that her caution and care for others might not be completely unfounded. She opened his eyes to the people around him. This set him up nicely for his revelation toward the end of the book - when he finally remembered what had happened before he was captured. Melting pot. I loved how Wecker wound characters of different ethnicities and faiths together, depicting many different cultures and ways of thinking. You got a sense of how New York was a true melting pot, with so many people coming to America from across the sea. I loved how she seamlessly integrated religion with the mythology of the Jinni and the Golem as well. 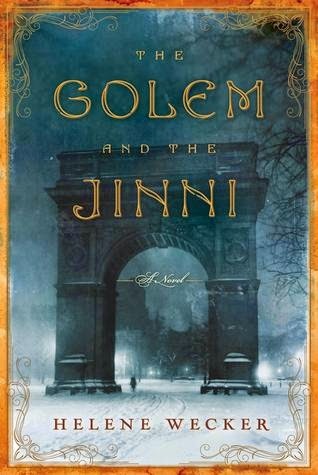 The Golem and the Jinni was a rich historical fiction novel with a fantastical twist! I give it 4.5/5 stars.